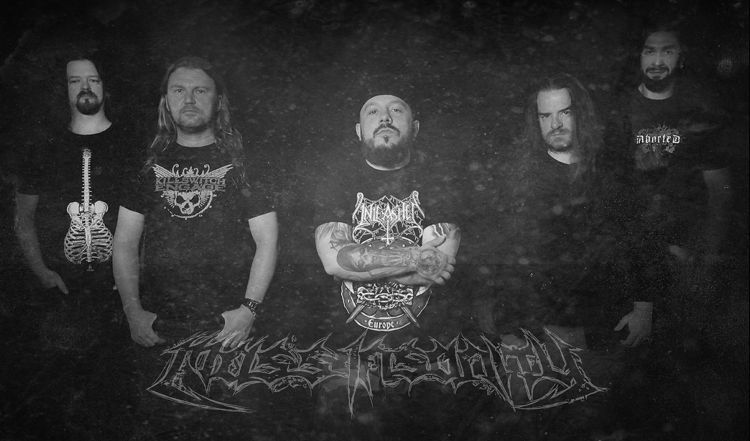 Mass Insanity is Death Metal band from Poland and comes from the city called Chojnice. The band was formed in 2003 and one year later he recorded first demo �In Deadly Silence�. After two years and several shows band recorded promo "99% Rehearsal Promo" (2006) and another year later demo �Language of the Dead� (2007). With this materiał band goes for the first tour in Germany and Netherlands. Year 2011 bring debut album �The Hypochrist� under wings of underground Polish label Brewery Distro. Second album of Mass Insanity is called �Antihuman� and saw light of the day in 2015 without help of any label. In spring of 2018 band has started recordings for third album �Maveth�. With new material band has signed papers with Russian label More Hate Productions. For fifteen years of activity band played about one hundred shows with bands such as : Death T.A, Hate, Trauma, Decapitated, Witchmaster, Kat, Jinjer, Abysmal Dawn, Loudblast etc.